Custom boat flags are a great way to get your boat noticed. You can put a company logo on them, photos of family and friends, or display the name of your boat. We make our boat flags in various styles. 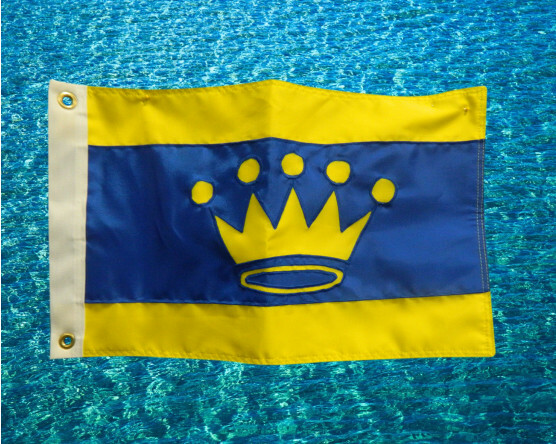 Flag shape, size, number of colors and durability are all things to consider while designing your custom boat flag. 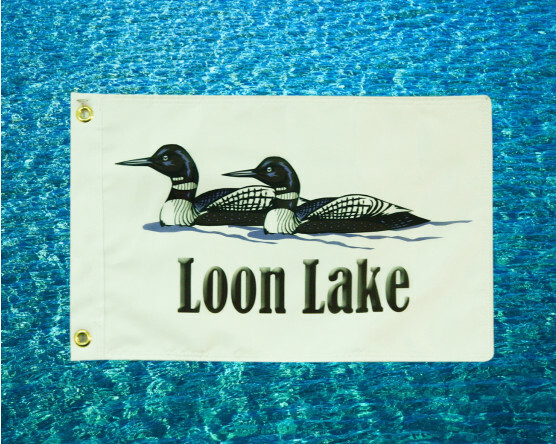 Our most common size is the 12x18 inch custom boat flag which can be ordered online. Other sizes require purchase by phone or by using our custom flag quote process . If you need assistance with your design, just let us know. We have graphic artists on staff! 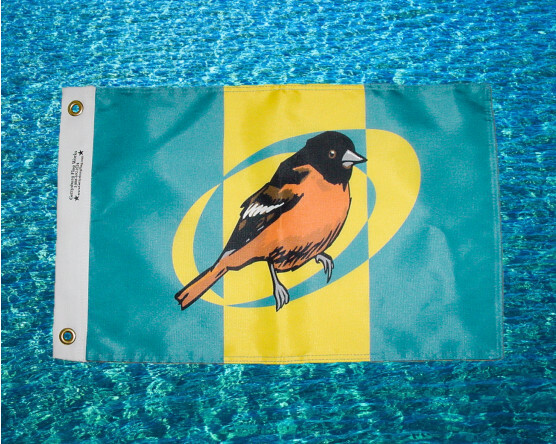 If you are near a beach or live in a windy area, double sided boat flags are the way to go. Custom boat flags also make great gifts! Send us a message online or call us today for a quote at 1-888-697-3524! 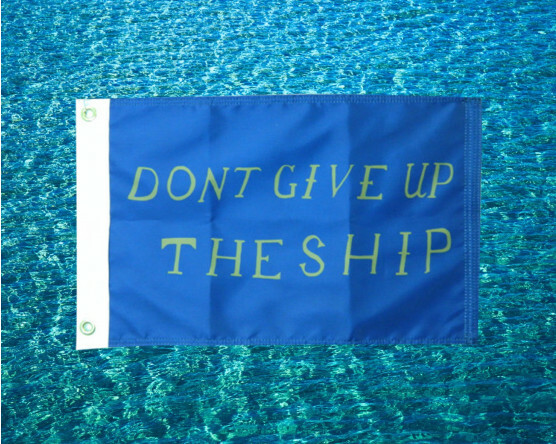 Our most common size boat flag is the 12x18 BOAT FLAG which can be ordered online. Other sizes require purchase by phone or by using our custom flag quote process. 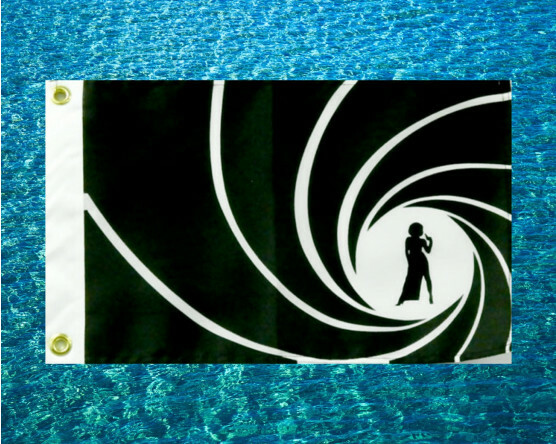 Personalize your watercraft by designing your very own custom boat flag. A logo, photo or the name of your boat are just some of the options. 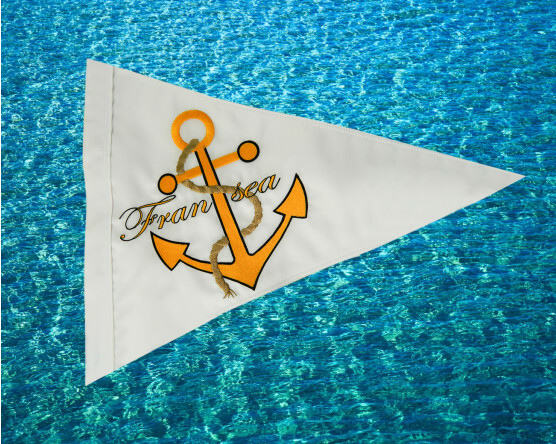 We provide various shapes and sizes of custom boat flags along with a wide assortment of colors. We also make sure to consider durability & fading while designing, to ensure your custom boat flag looks nice for much longer! 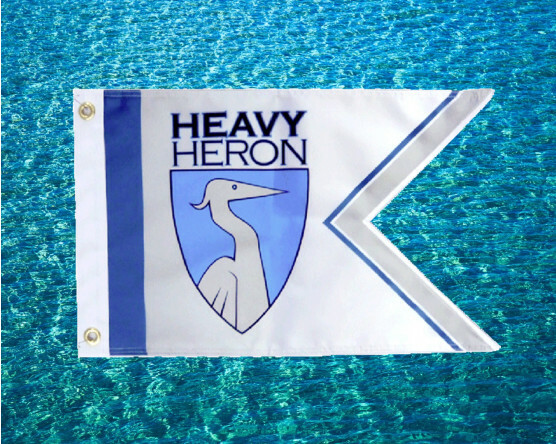 We will happily go over different recommendations for your custom boat flag, as well as help maximize your custom boat flag design options. We have a graphic artist on staff to bring your vision to life. Custom boat flags are also a great gift idea for the recreational or boating enthusiast in your life. If you are planning on a custom boat flag, you also might want to consider a marine flag pole set to fly custom boat flags. The set includes a quality flagpole and socket. An allen wrench and thumbscrew are included for installation and easy removal. 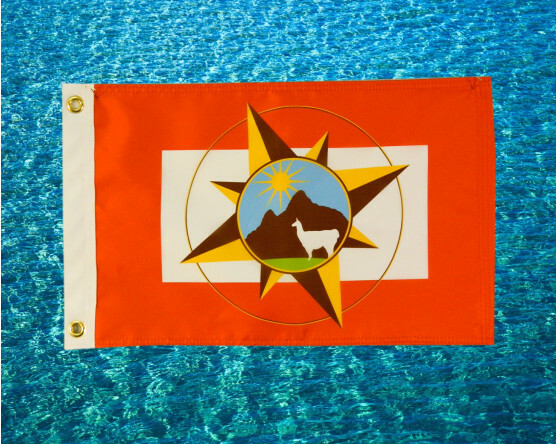 This set is designed to display custom boat flags on the stern of the boat but with a recommended flag size of 16x24". You may also be interested in an American boat flag, or the US Yacht Ensign boat flag. 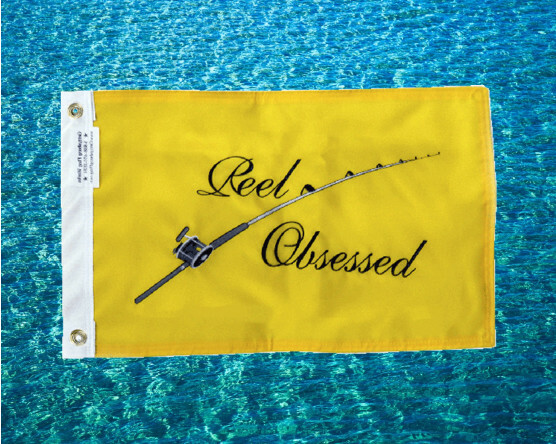 These boat flags are made of 100% nylon all-weather material. The flags feature sewn or embroidered stars and sewn strips with a heavy canvas heading and brass grommets. 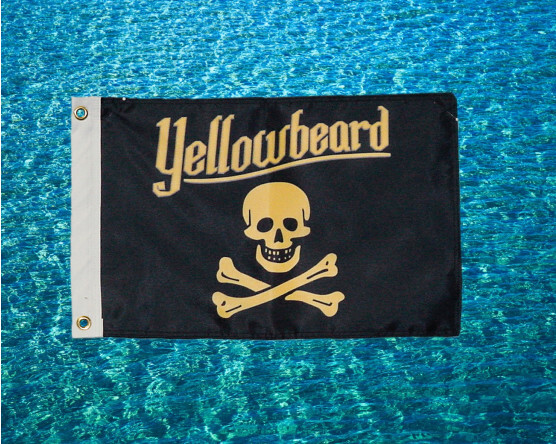 We offer a wide assortment of pirate boat flags that are screen printed on durable weather resistant fabric, and are finished with polypropylene webbing and brass grommets for mounting. The screen printed design shows on both the front and back sides. Choose from a large variety of fun scull and cross bone boat flag designs. We also have a large selection of nautical themed boat flags, such as the Navy Jack, dinner, protest and storm warning flag. In addition we have gale and hurricane style boat flags. The Navy Jack boat flag is a maritime flag representing the United States nationality, and is flown on the jackstaff on the bow of its vessels. 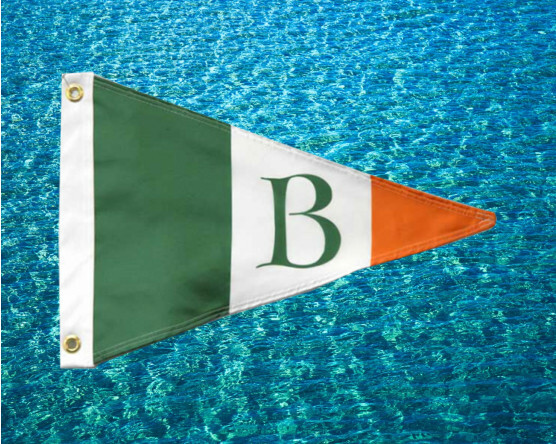 Did you know that we also offer other types of boat flags? 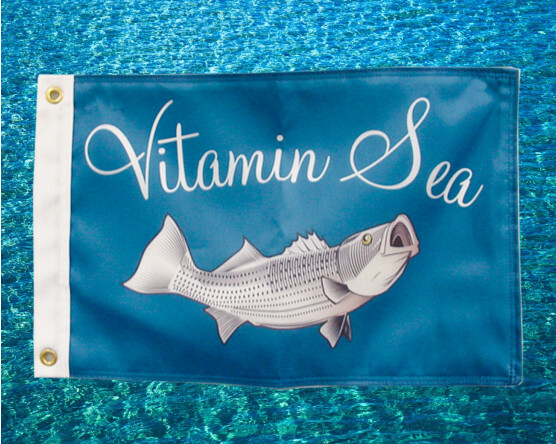 Check out some of our popular signature boat flags, including the customized wave boat flag. Add your boat name and choose from single-sided with reverse image on back side or double-sided with liner – heavy duty for flying on your boat. Also available are 9/11 We Remember, Red Neck, John Rackham, Live Laugh Love, or Money Pit boat flags, all with the options of single or double-sided. 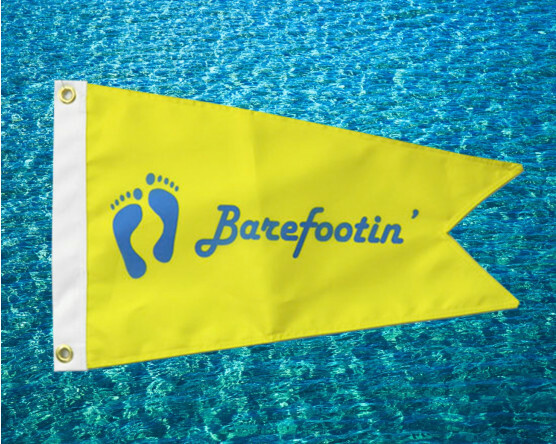 Have questions about our customized boat flags? Send us a message online or call us today for a quote at 1-888-697-3524!